We had a great late Mother’s Day with my Mom on Sunday at Tokyo Asian Cuisins Hibatchi. It was me, my Mom, my brother, and sister, here are a ew pictures. As many of you may or may not know in November of 2016 I lost the love of my life Vernon. He was something very special to me and I miss him each and every day. So here is a little collage I made of Vern. MISS YOU HONEY! I hope you are all having a great start to the new year and you are all healthy and happy. Well I am doing very well, missing my husband but getting on with things as I promised him I would. January brings me lots to do with the start of our new catalog and sale-a-bration, I am working on new cards, projects and video tutorials. Me and my best friend Sue who lives with me have been doing lots of cleaning and weeding out of things we don’t need. Patrick (my son) and myself have been doing outings together like getting the car serviced, banking, outings to the mall etc. Nothing to exciting but things that have to be done. At Christmas we were all sick so we did not get together with my family so this Saturday we are getting together for our festivities, can’t wait. Talk with you all soon. Sorry I have been goon so long. Does it always seem like you can never keep you crafting workspace clean? Well your not alone, here is a picture of mine on a good day. So we are all in the same boat, so please send us a picture of your crafting workspace, good or bad. So here is a few funnies to make you laugh. 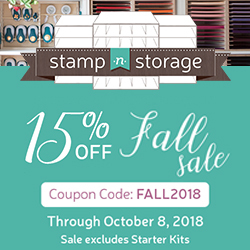 if you don’t know we have different names of our card stock (Stampin’ Up!) and inks that have names like old olive chocolate chip, etc. So the other day my husband came home and sat at my craft table opposite me and we where talking. Now remember he is a cook at Friendlys ice cream. So any way we where at the table and he was on the side where the card stock was and I asked him to hand me a piece of pumpkin pie. He gave me the weirdest look and then I said not real pumpkin pie, the paper behind you. It was so funny to see his expression. One more funny not related to Stampin’ Up! But yesterday was my birthday and my hubby came home with a card and a plant for me. Well the card was so funny I have to tell you. The card had a beagle on the front dressed up like a nun and it said “If anyone asks you how old you are today, tell them it’s “Nun” ya business”. I laughed so hard. My tinny puppy is not tiny any more, my son said she is now little puppy. Wow! I had a great but busy weekend. Saturday I held my first ever Scrapbooking Bingo and it was fun. I had 3 ladies and they got lots done n their albums and got lots of goodies too. Join us next month for more fun get togethers. (Here are a few pictures of my tables before the ladies arrived and my best friend Sue).